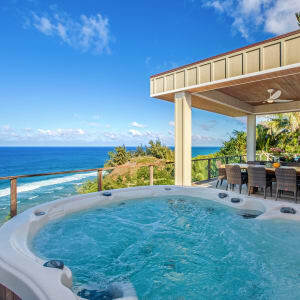 Huge, oceanfront top of the line Amore Bay Spa with his n hers massaging loungers. Water is changed for every rental. Modern chef's kitchen has everything! 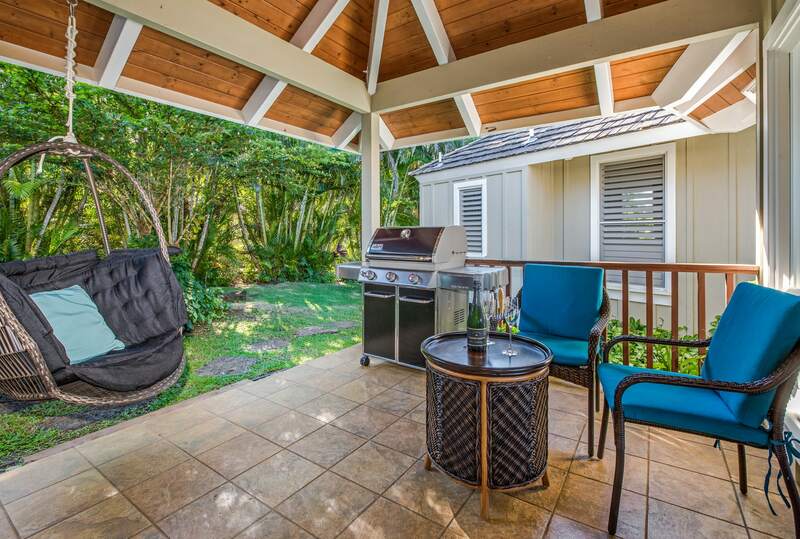 Peaceful garden side lanai with new Weber BBQ and hanging chair. Another perfect place to read and relax. East master bathroom soaker tub and plate glass shower. Grohe fittings throughout the home. Bliss awaits! Rainshower is just visible in this photo. East gardenside King features "Murphy Bunk beds"; full size twin beds which fold up against the wall taking up little space when not in use. 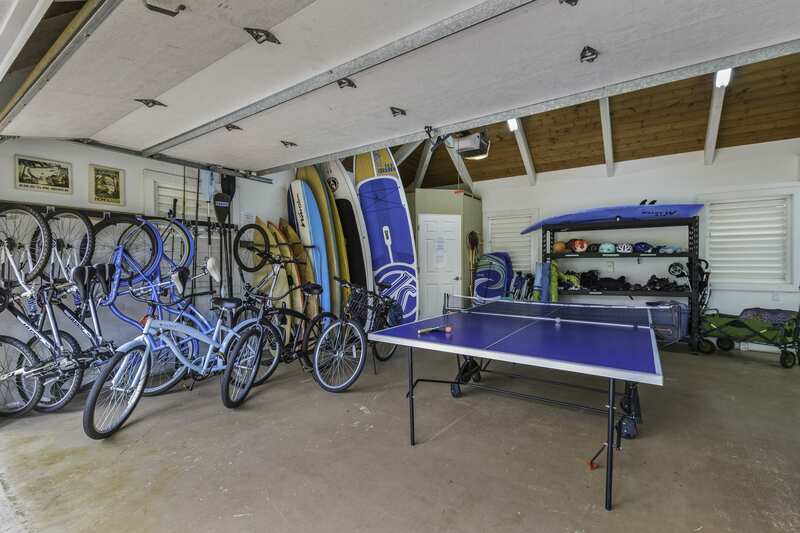 Double garage is devoted to guest enjoyment! 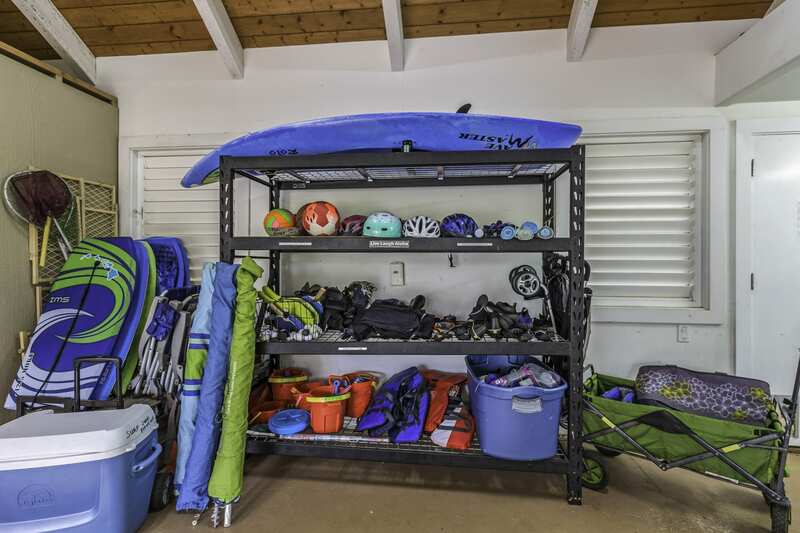 Full beach equipment and wave rider kayak. 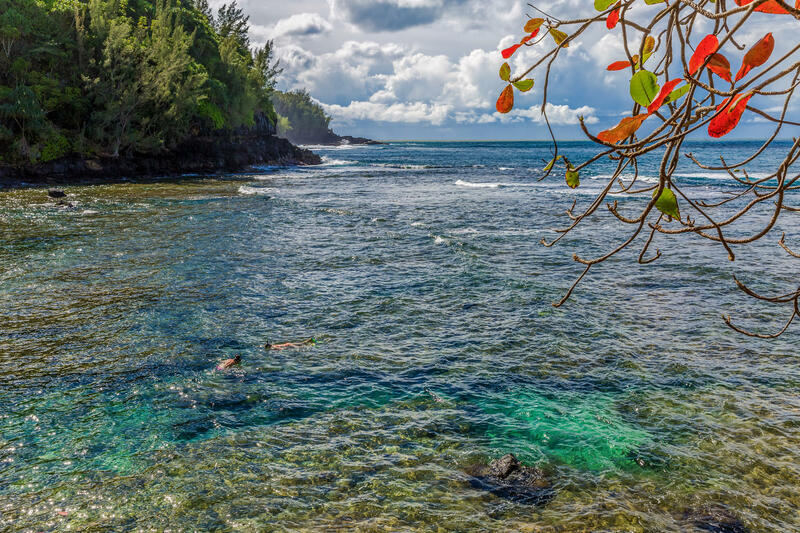 Snorkeling at sandy, secluded Sealodge Beach, directly below Surf Song and visible from the lanai. Turtles are regulars here. 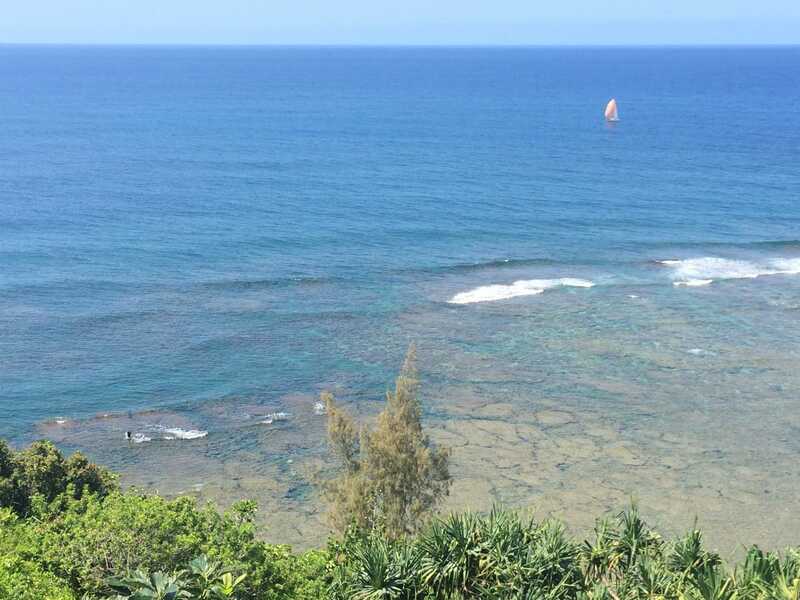 Whale watch in season from the lanai. 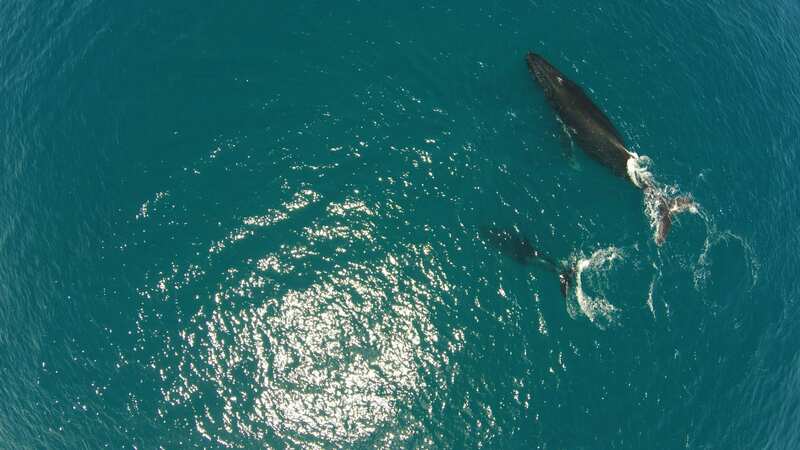 Whales play, mate and calf just offshore. Direct oceanfront right above beach. Stunning views. ALL DATES NOW ON SALE! 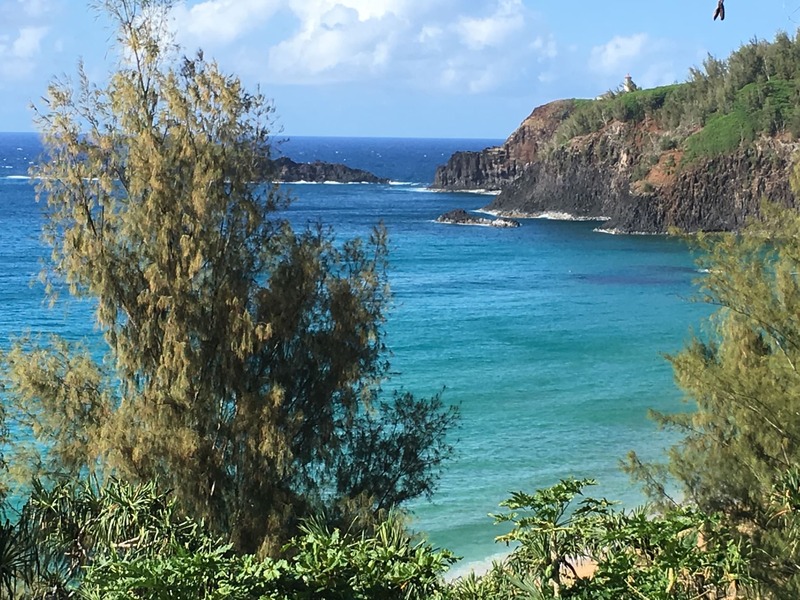 Farthest point in Hawaii from volcanos and high above floods! Completely unaffected! 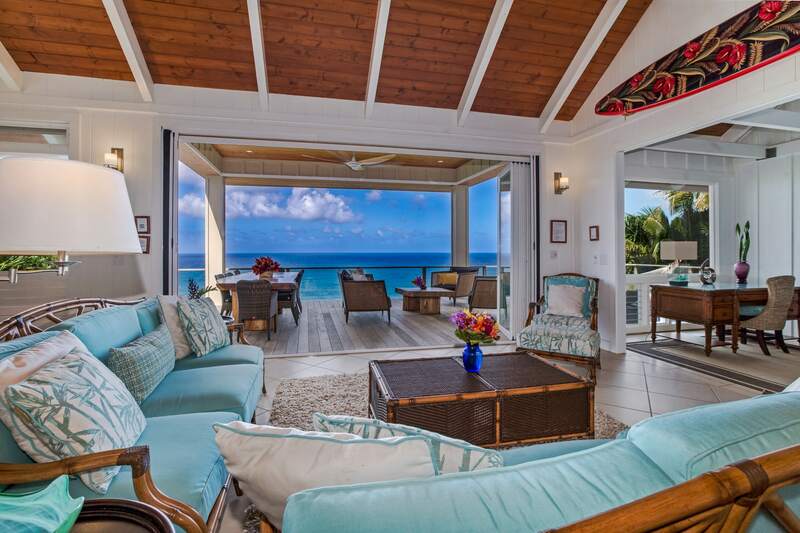 Breathtakingly located directly above sandy, secluded Sealodge Beach, Surf Song is filled with the sound of waves breaking on the coral reef below. An expansive, vaulted oceanfront central great room with living, entertainment, dining and kitchen areas leads via a fully opening 17 foot Nana wall to a huge oceanfront lanai whose center portion is roofed, providing outdoor living and dining areas for wonderful seamless indoor/outdoor living. 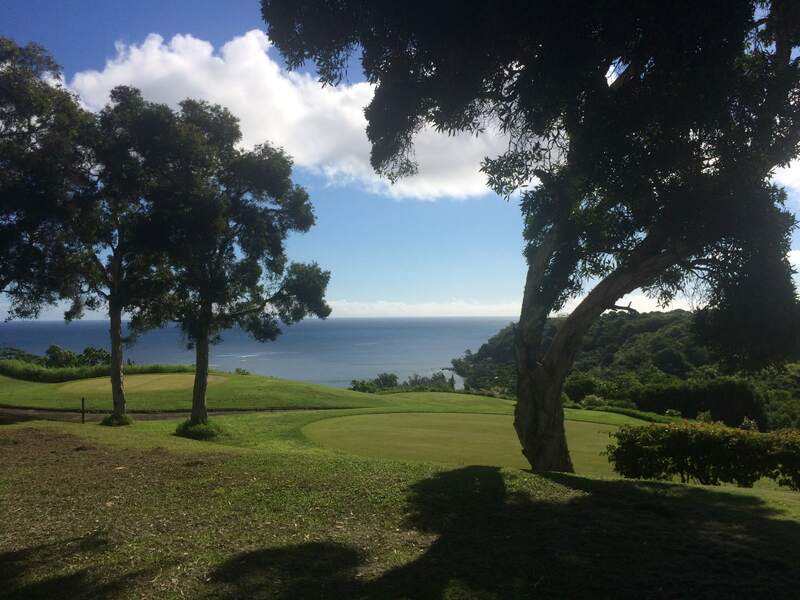 An unparalleled location for weddings, we have been voted one of the 10 best places to get married in the Hawaiian islands by a Maui -based magazine. 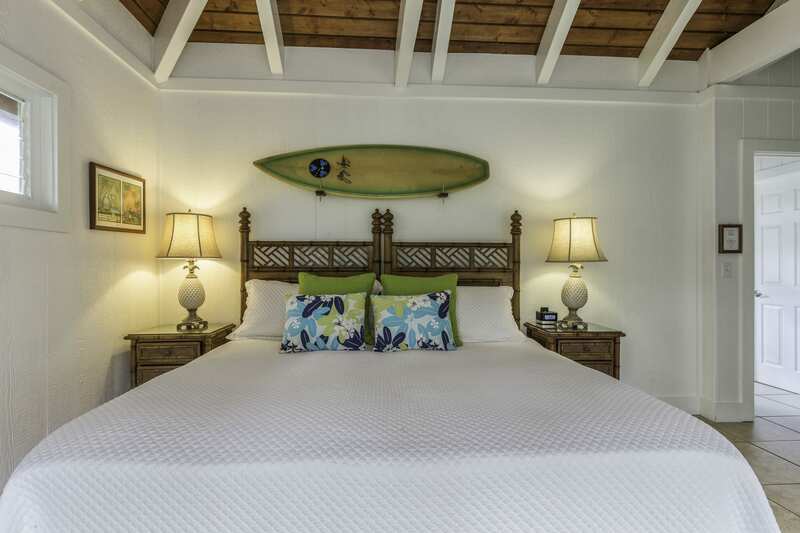 Four bedroom suites into separate wings on each side of the house, each with ensuite bathroom, air conditioning and direct lanai access make Surf Song the perfect extended family vacation base. 60+ VRBO 5 star reviews say it all! Daytime occupancy is limited to registered guests plus up to 4 visitors. Nighttime occupancy is limited to registered guests only. Weddings, parties and other functions require advance written consent and may involve fees, damage deposits and additional conditions. Maximum attendance for any function is 20 people. No damage deposit required! For a worry free stay, we self-insure for a modest damage waiver fee. 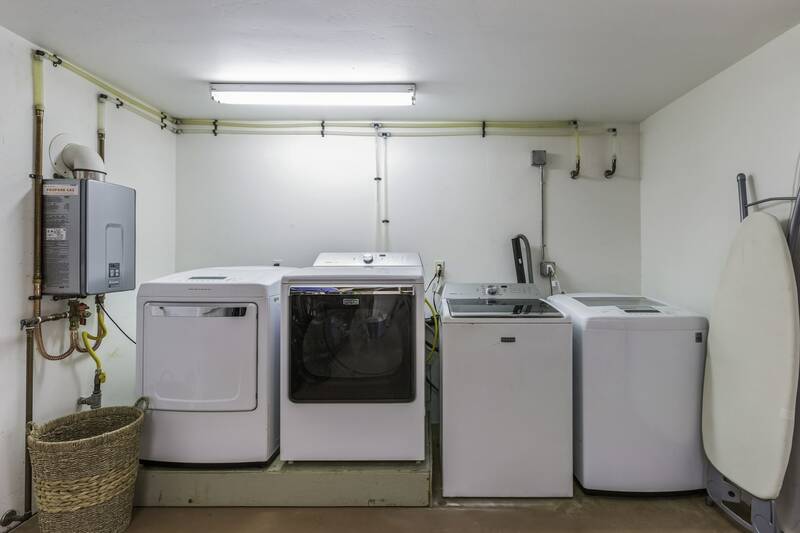 All stays are subject to an e-signed Rental Agreement. Blank agreement happily provided on request. This new listing is still being developed and content added. For HD photos and many enthusiastic reviews, please visit Surf Song at VRBO 499432. IMPORTANT NOTE RE RATES: Base rate and 5 night minimum stay apply only in low season. Higher rates and longer minimum stays apply in busier seasons. Please see full rates at VRBO 499432. For even "mo bettah" HD photos go to www.surfsongkauai.com. * Last minute available dates are always reduced. * Longer stays and bookings which fill an existing gap in our calendar - even a short one - receive a discount. *We want to fill our calendar and will always cheerfully work with guests to encourage bookings! 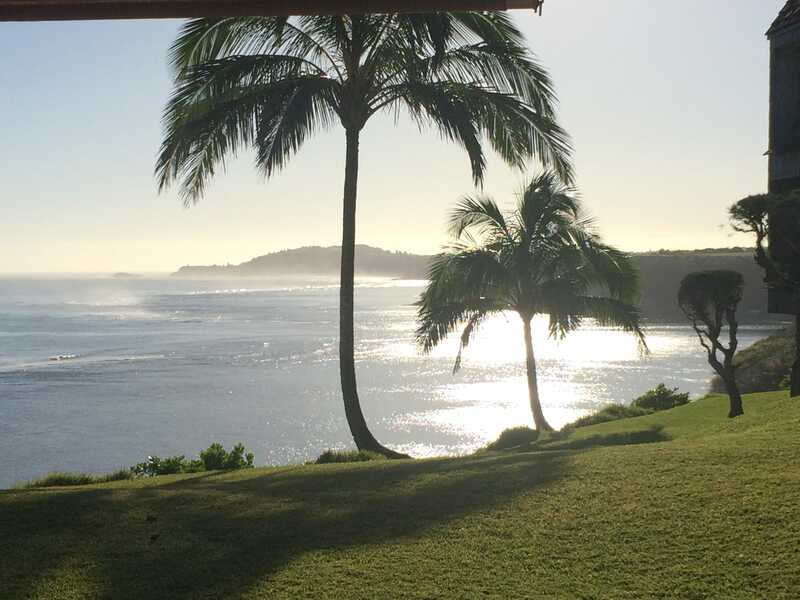 When you arrive at Surf Song's exclusive location at the very end of a private cul-de-sac and glimpse the ocean beyond, you will know that you chose wisely. 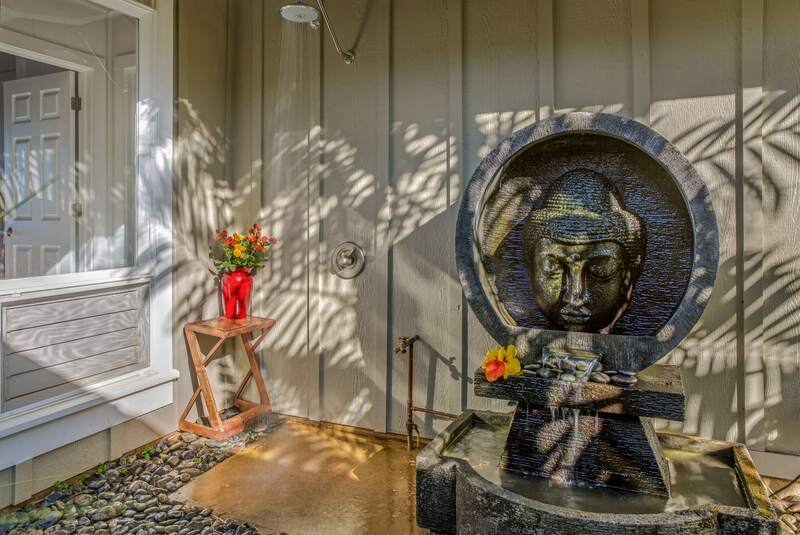 On entering the home, you will be awed by what the previous owners described so well as its "drop dead" ocean view and be surrounded by the gentle sound of surf breaking on coral in the pristine bay below. Why stay here? In a few words, peace, beauty...bliss! 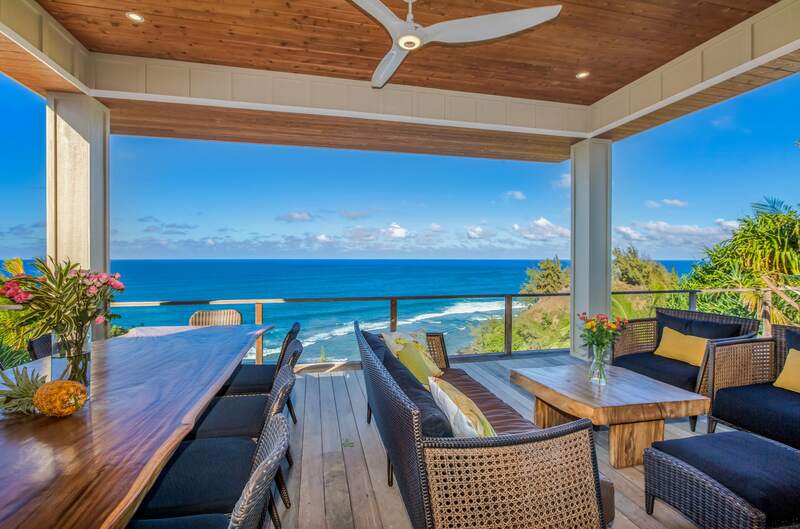 You could choose a property down at the beach - but you would be unlikely to be able to enjoy the peace and quiet, or the breathtaking views, found on this unique oceanfront bluff. And the path to the beautiful and little used beach below the house begins a two minute walk from the property (about 10 minutes to walk down to the beach from the house in all. ) 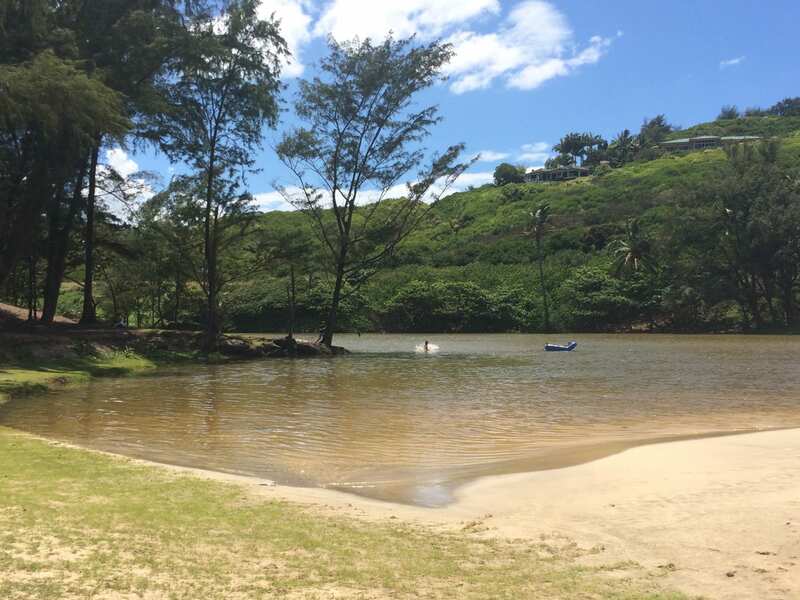 Surf Song is also centrally located for Queens Baths, Hideaways, Hanalei and Anini beaches - all are within 10 minutes or so. 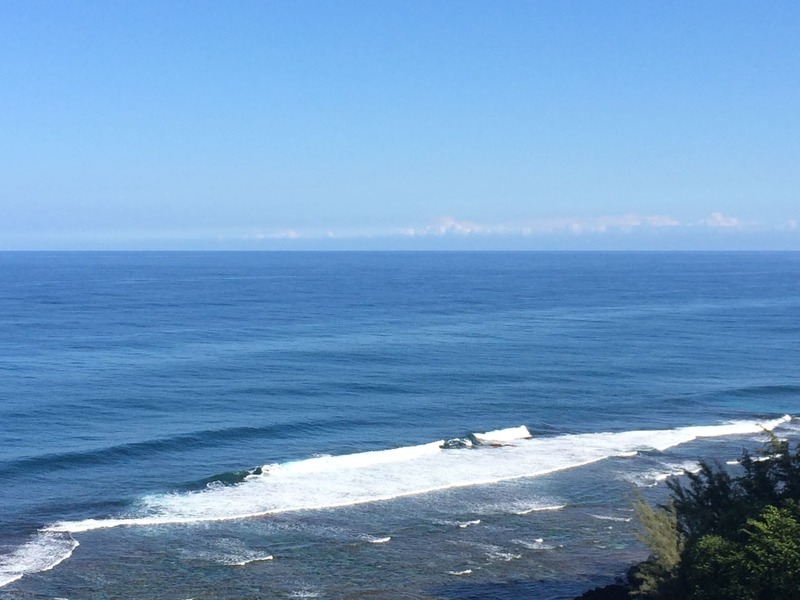 Dolphins and turtles may be seen up close in the bay - the turtles actually surf sometimes! In winter, humpback whales breach offshore here. 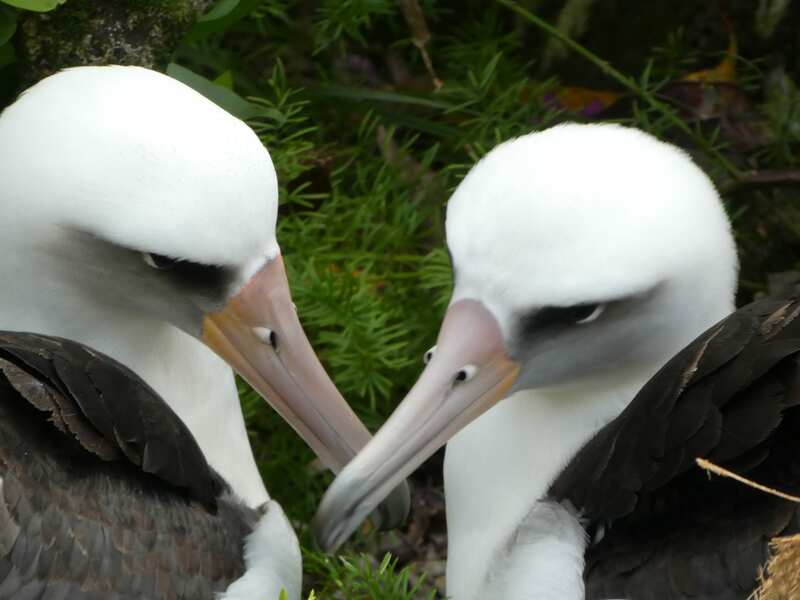 (We have tripod-mounted and hand-held binoculars). 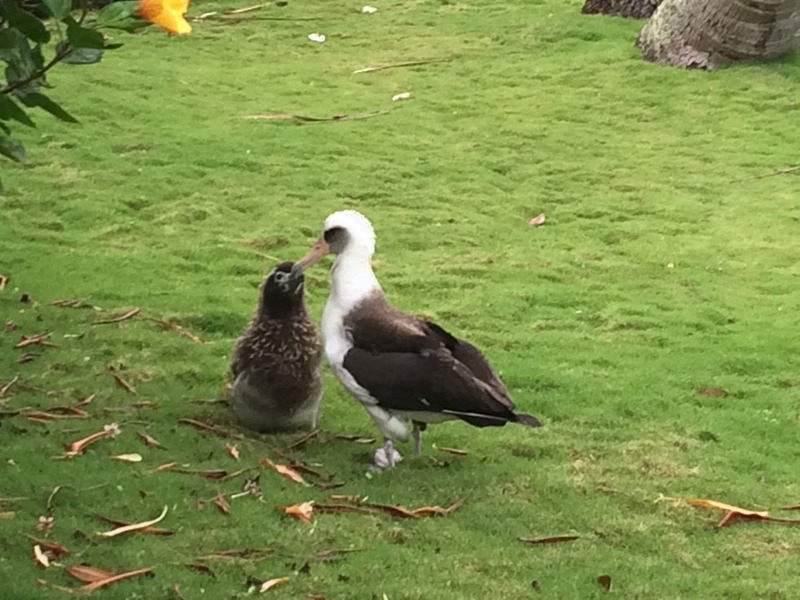 Albatross court and nest right in neighborhood and teach their young to fly from the surrounding bluffs. 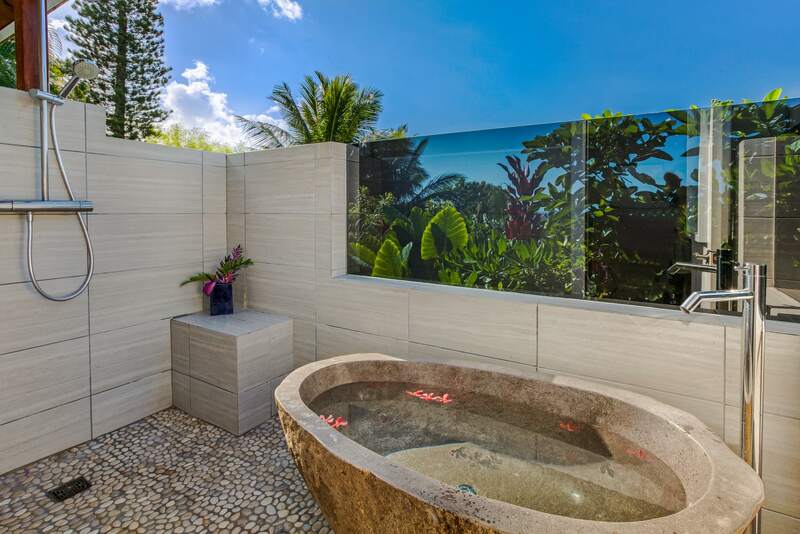 In summer, both sunrise and sunset may be enjoyed from the lanai, which features a Dimension 1 Amore Bay Spa, said to be among the world's best. 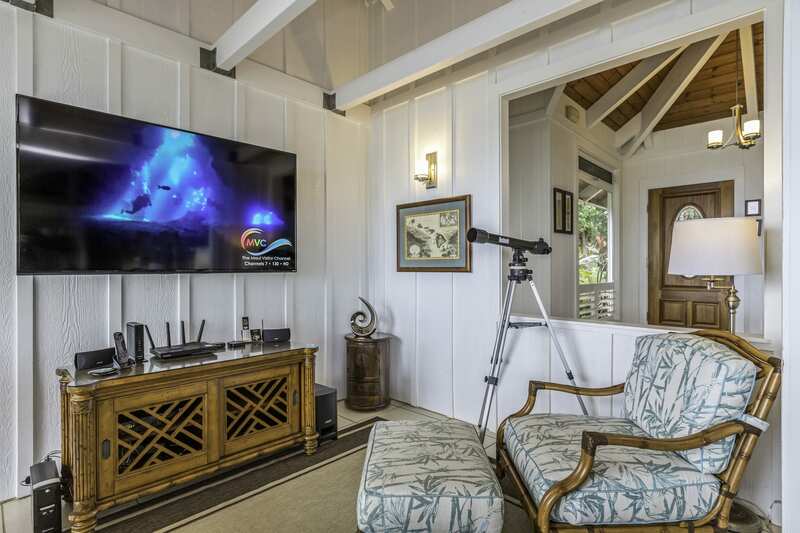 Inside the bright, open 2500 square-foot home you will find a layout centered on an expansive living room, the center point of which is a fully screened 17 ft. Nana wall which opens fully to the ocean side lanai. 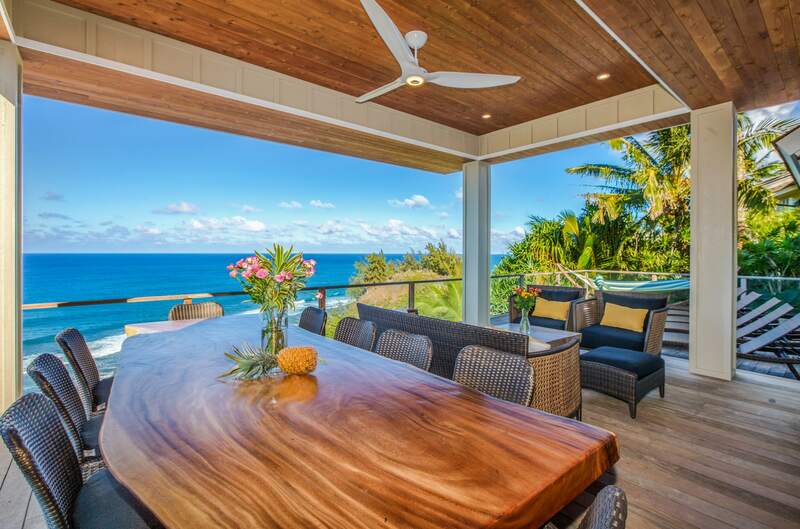 Furniture throughout is top of the line Tommy Bahama Island Estate. 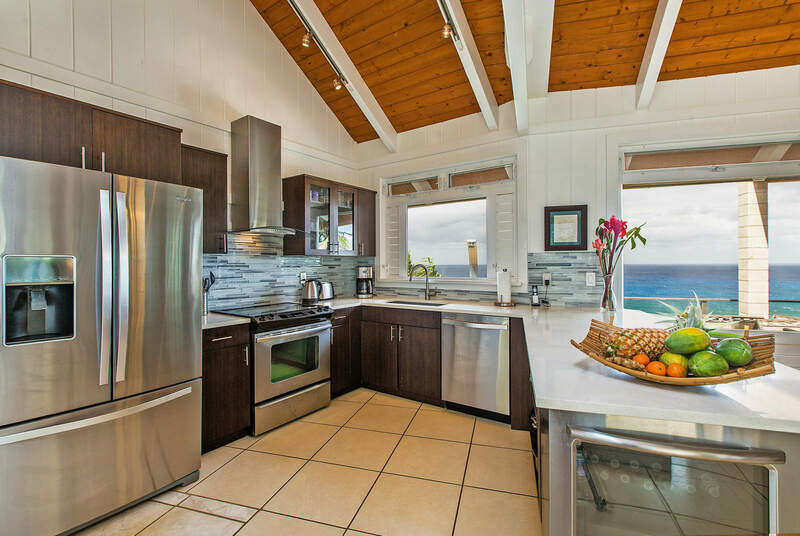 The gleaming, all new oceanfront kitchen with cafee cabinets and white quartz counters is fully equipped with everything from a wine fridge to Royal Doulton dinnerware and crystal champagne flutes. 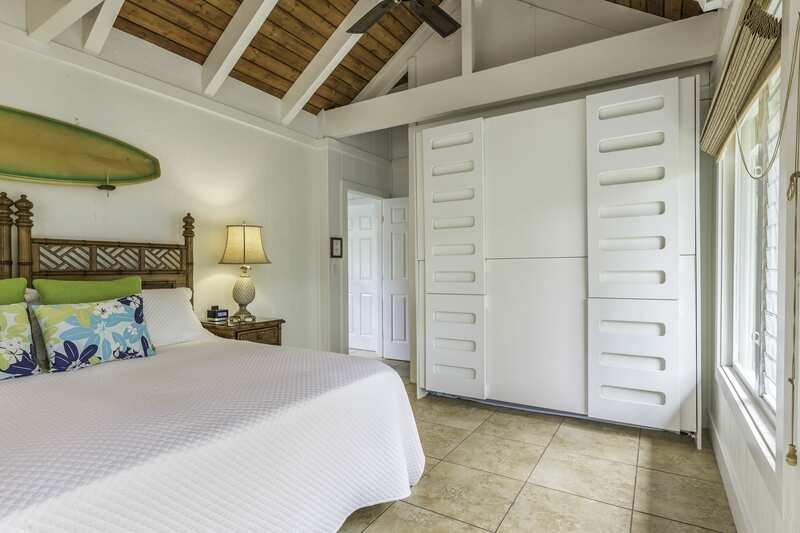 Surf Song is perfect for four couples, each having bedroom with private ensuite bathroom. Two families works equally well, both families having their own "wing". 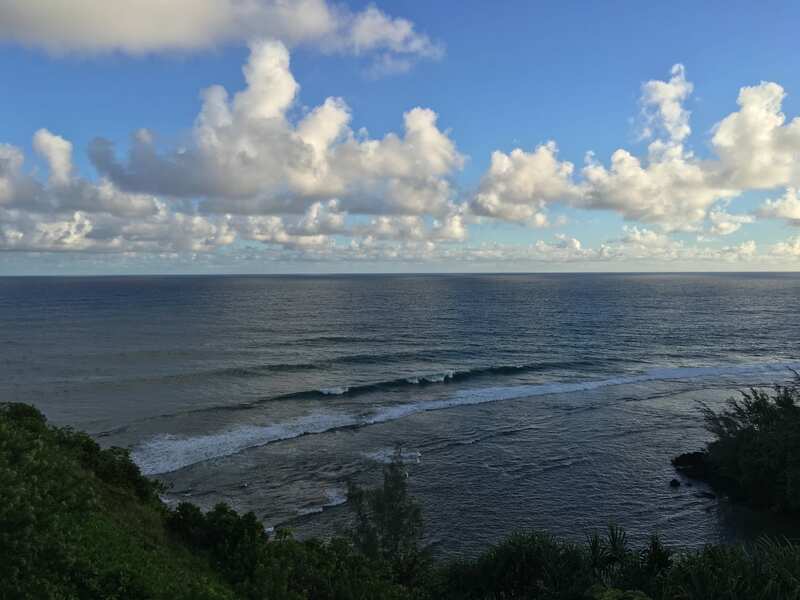 Surf Song is also a popular honeymoon destination and is often rented by couples seeking a private and romantic oceanfront experience. 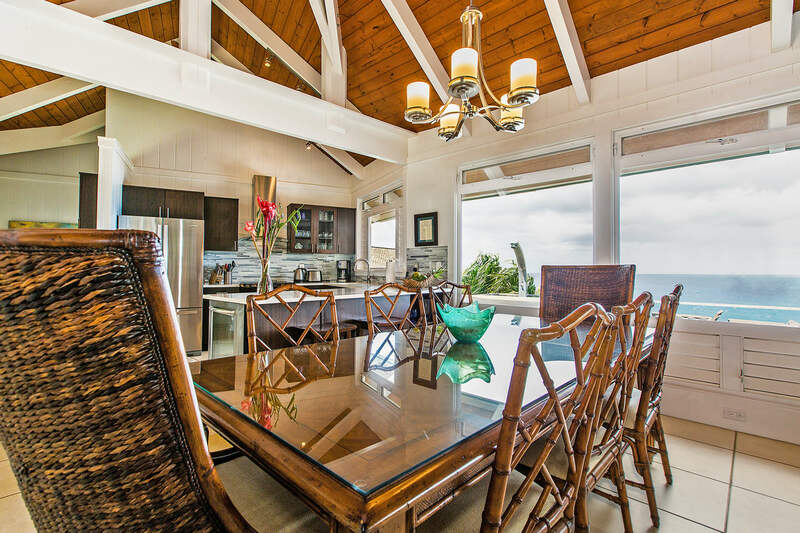 The house is centered on the large vaulted oceanside great room. Sleeping accommodations are divided into two wings, one on each side of the property, each with two bedrooms and two full bathrooms. The house sleeps up to 10 adults. 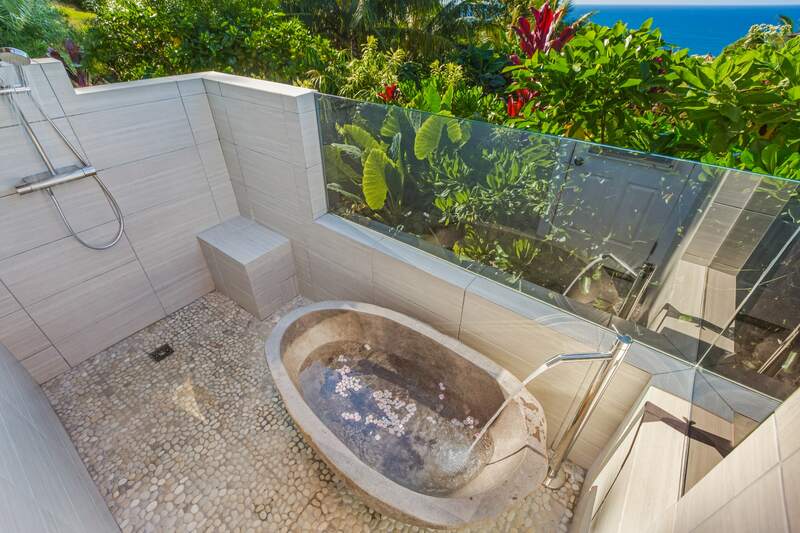 King oceanfront master suite. 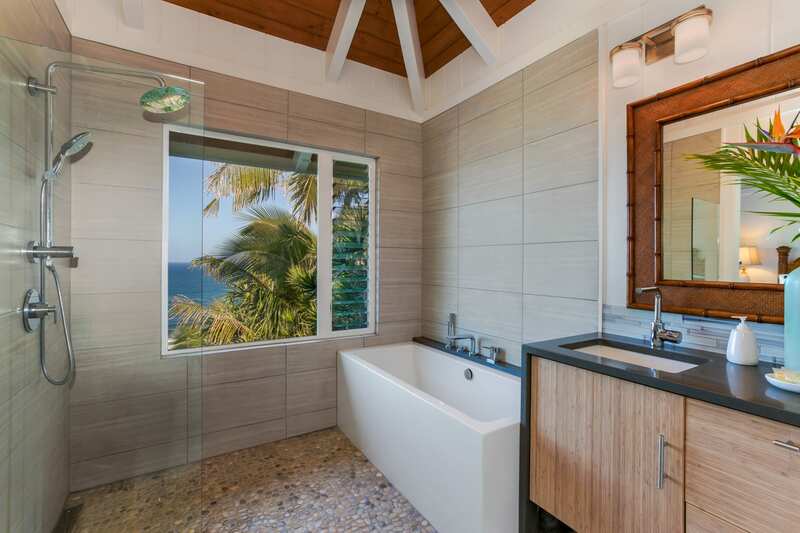 Oceanfront ensuite with double quartz vanity and toilet, with ocean and coral reef views from both soaker tub and Grohe rain shower. 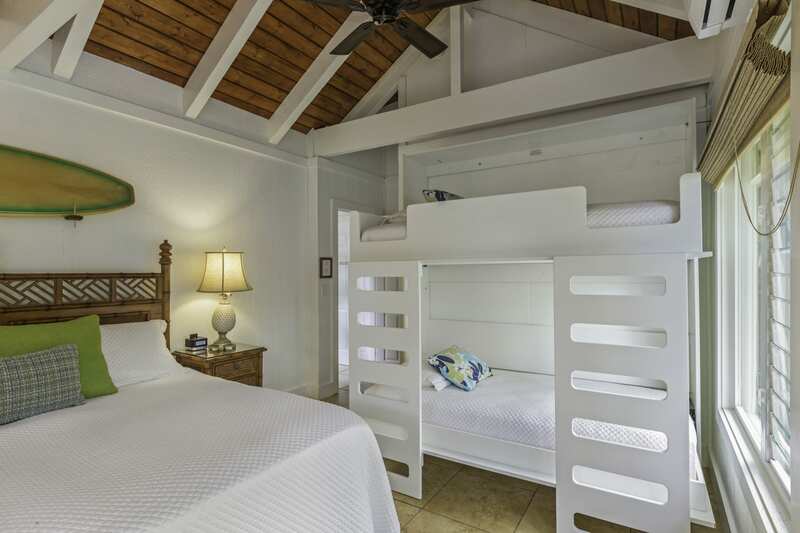 King garden view suite which also features twin "Murphy bunk beds" - full size single bunk beds with Sealy Posturepedic mattresses for two additional guests, which fold away when not in use. 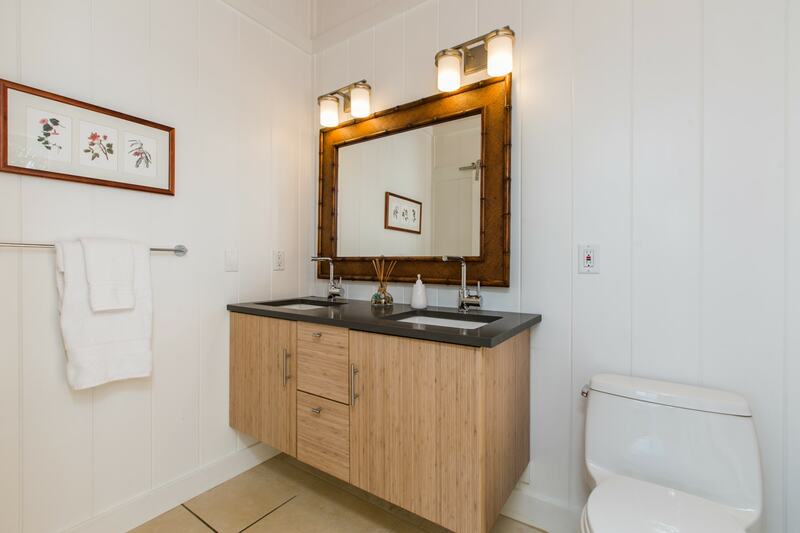 Ensuite with pedestal basin, toilet, and large Kohler/Grohe shower. King oceanfront master suite. 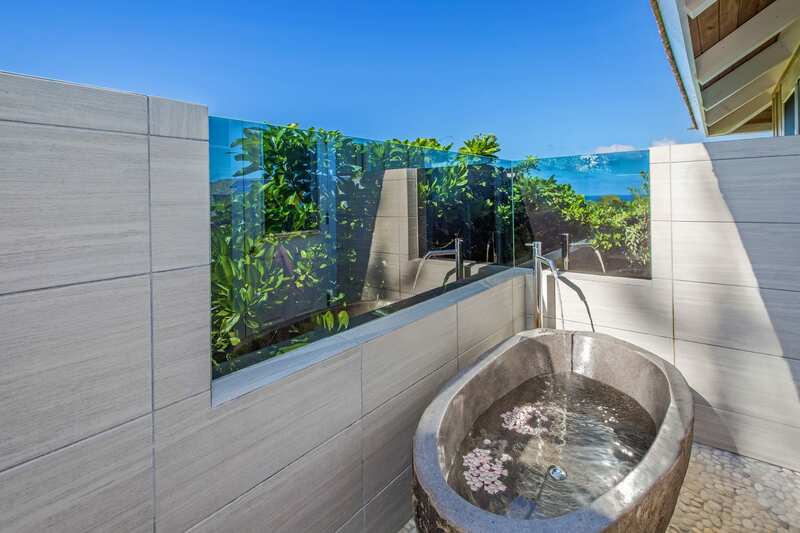 Oceanview ensuite with double quartz vanity and toilet, plus walled/privacy glazed outdoor ocean view bathroom area with stainless steel rain shower and Balinese stone soaker tub. Oceanview Queen with lanai with Bali Hai views. 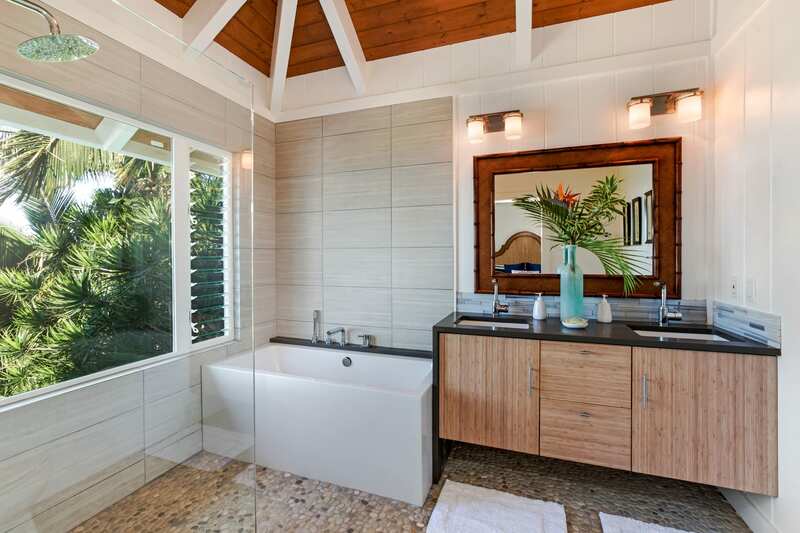 Ensuite with pedestal basin, toilet and Kohler/Grohe tub/shower combination. 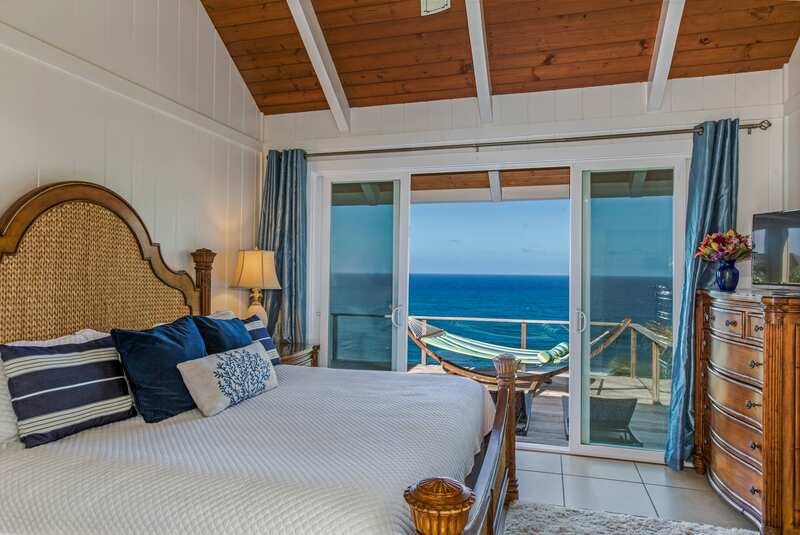 Each bedroom walks out to its own lanai. 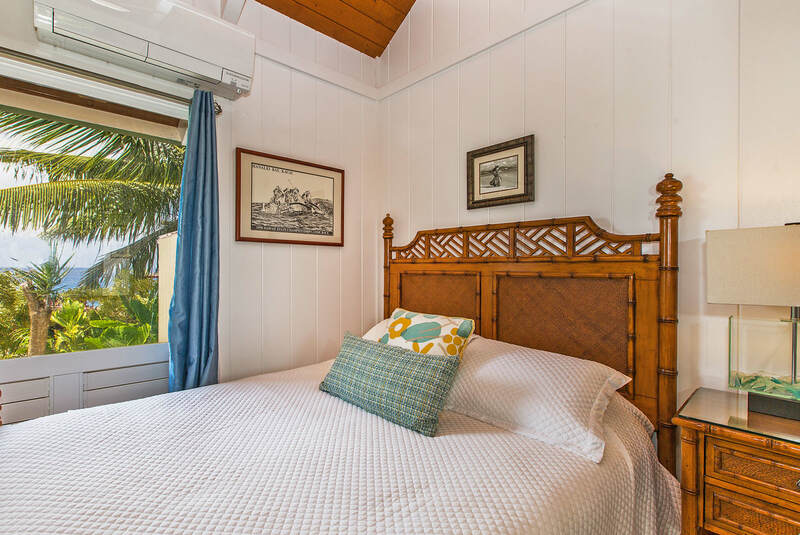 All bedrooms give the wonderful experience of being lulled to sleep by the sounds of surf breaking on the coral reef below the house and palm trees in the breeze. 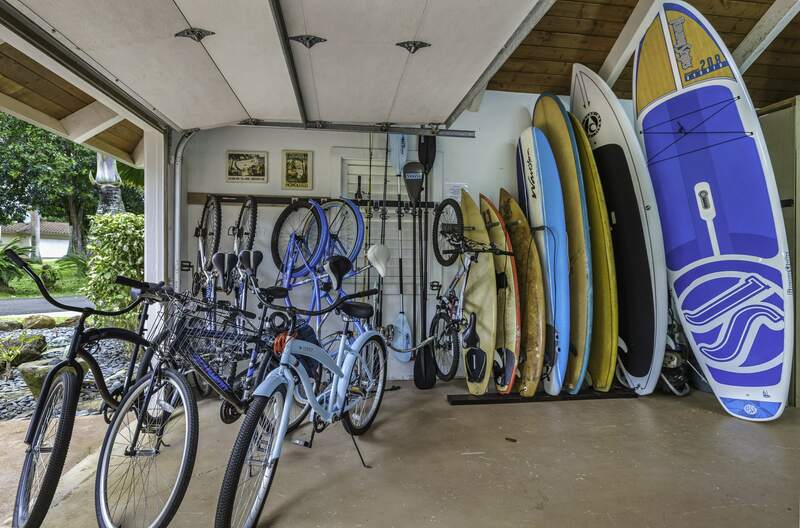 Surrounded by nature though it is, Surf Song lies only a few minutes’ drive or bike on quiet, private roads, from all of Princeville’s superb amenities. These include many beaches and a full shopping center with high quality shops, cafes, restaurants and entertainment. This is our home, found after years of searching on the islands. It is the loveliest place to be that we know. 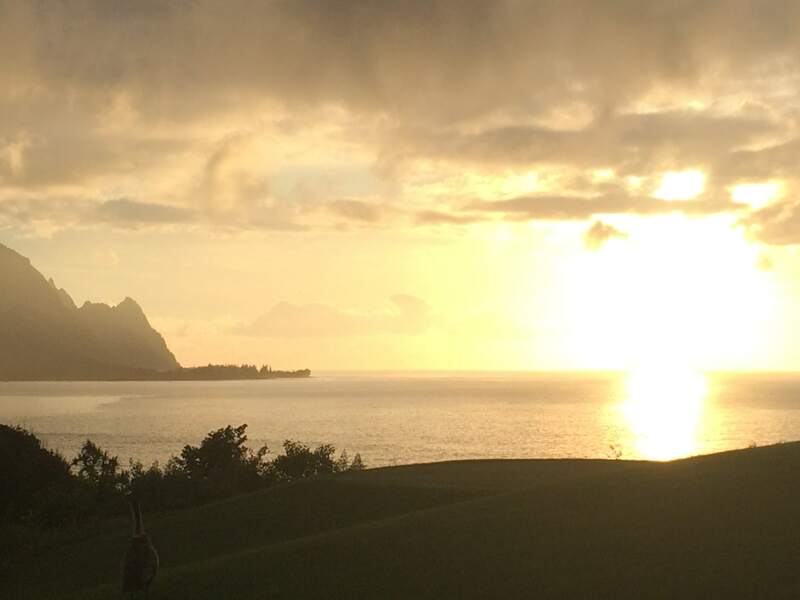 We welcome you to it with Aloha. 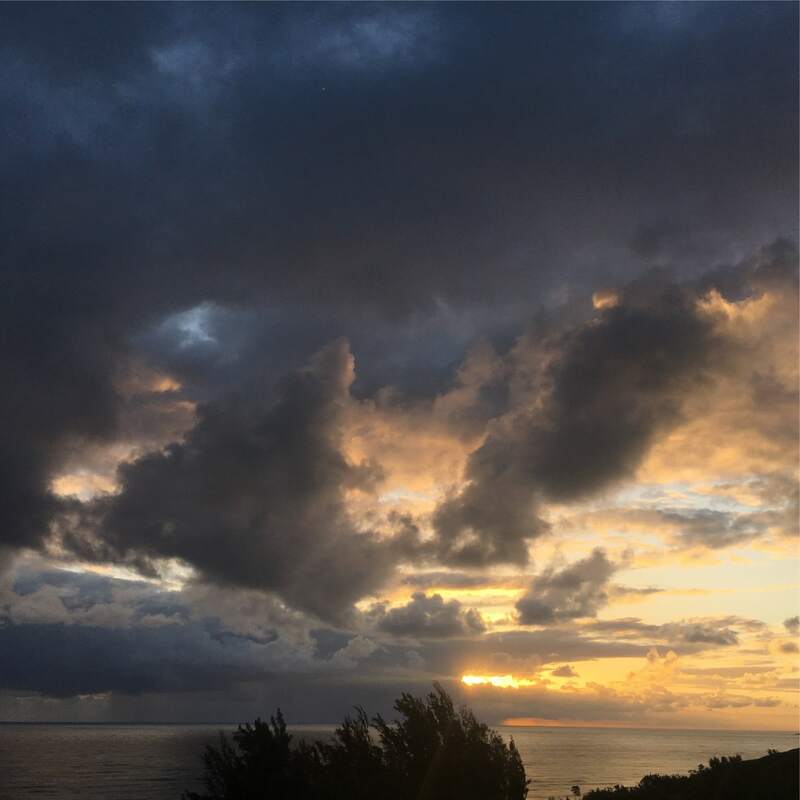 Our mission is to ensure that, like us, having discovered it you will want to return again and again. 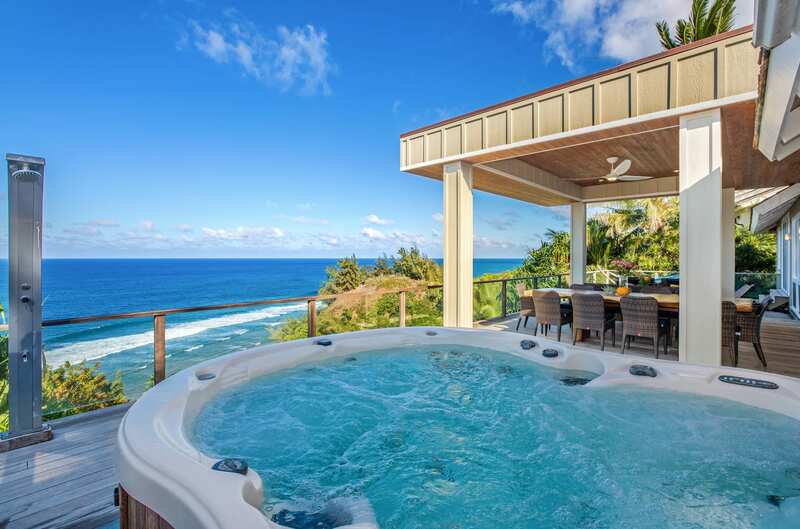 Relax in the knowledge that unlike some offerings, this is a long-established, licensed vacation rental in the Princeville Visitor Designated Area with a responsive and involved owner and under the scrupulous care of a dedicated professional team of cleaners, groundskeeper and maintenance personnel. 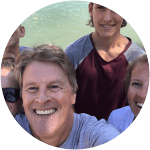 We all care very much about your vacation rental experience, as the 5 star reviews show. Our Transient Accommodations Tax number is TA-074-845-7984-01. Our local contact is Joanne Streeter, our head cleaner. 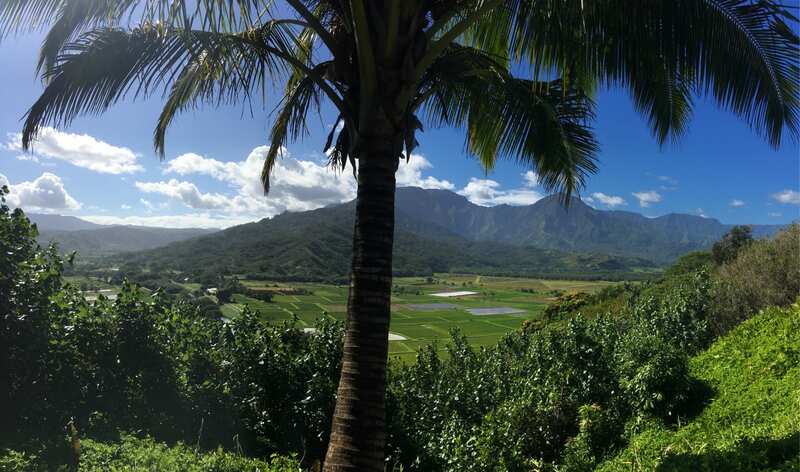 This information must be disclosed on all advertising related to any Hawaii vacation rental which is legally compliant. We require only 20% of rent and taxes to guarantee a booking. Balance is due 90 days before the stay begins. 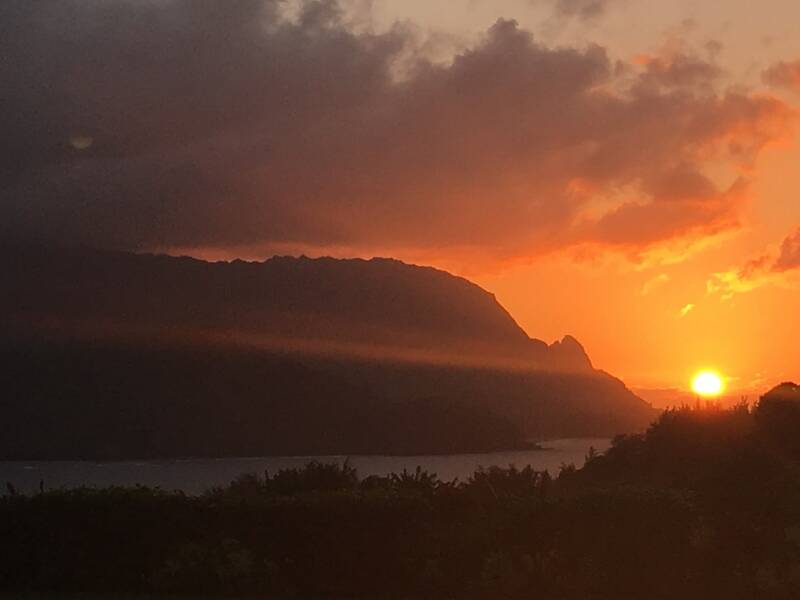 We take time researching so as to be able to suggest every type of concierge service - at no charge and usually at a discount on bookings: Wedding planner, Private chef, Massage or Yoga on the Lanai, and of course assistance with booking of all Kauai's attractions such as horseback riding, boat tours of Na Pali, zip lining, sport fishing, helicopter flight-seeing tours, luaus, and golfing. We receive no compensation from the people we suggest, leaving us free to recommend those who we believe will best serve you . 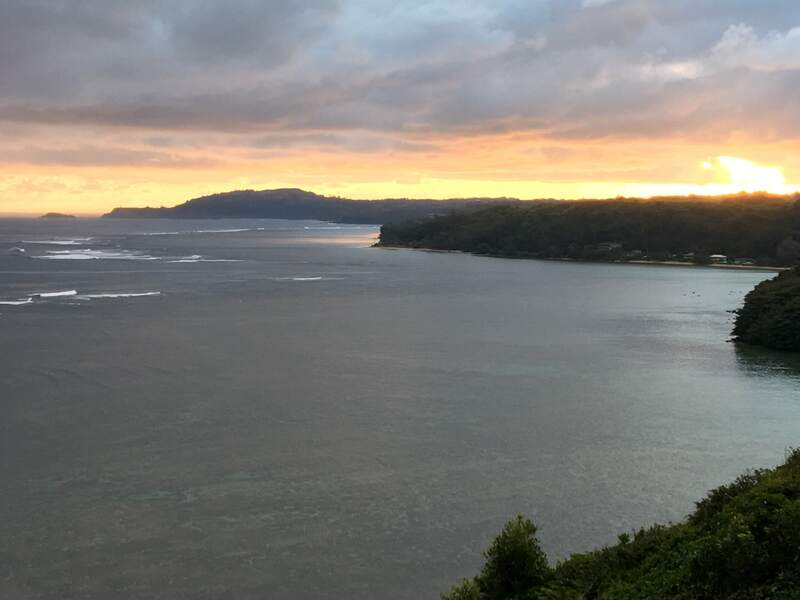 ROAD CLOSURE West of Hanalei: As of 10/2018 the last 8 miles of the beautiful 90 mile Kuhio Highway which runs almost around the island are still closed to visitors West of Hanalei as the damage from the April 2018 flooding to that road has not yet been repaired. 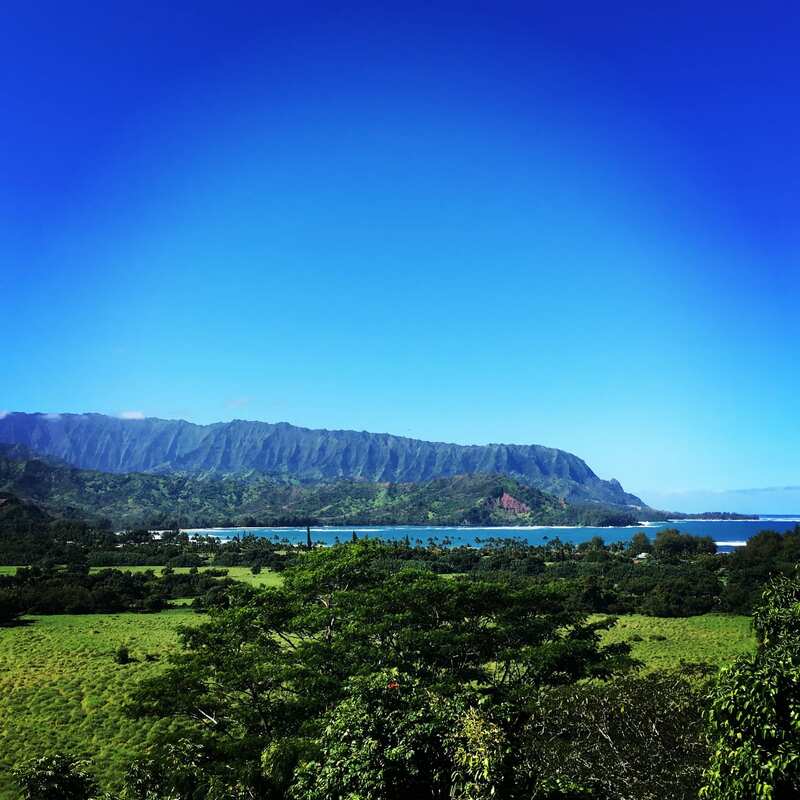 If access to Tunnels and Ke'e beaches or the NaPali trail is vital to you, please search on line or ask me and I will ask our staff who live past Hanalei for the latest developments. We're a family of four kids from 35 to 15 plus Dad, a retired British/Canadian criminal barrister who has very happily hung up the wig and gown in exchange for a gentler life fixing things and greeting guests in paradise! 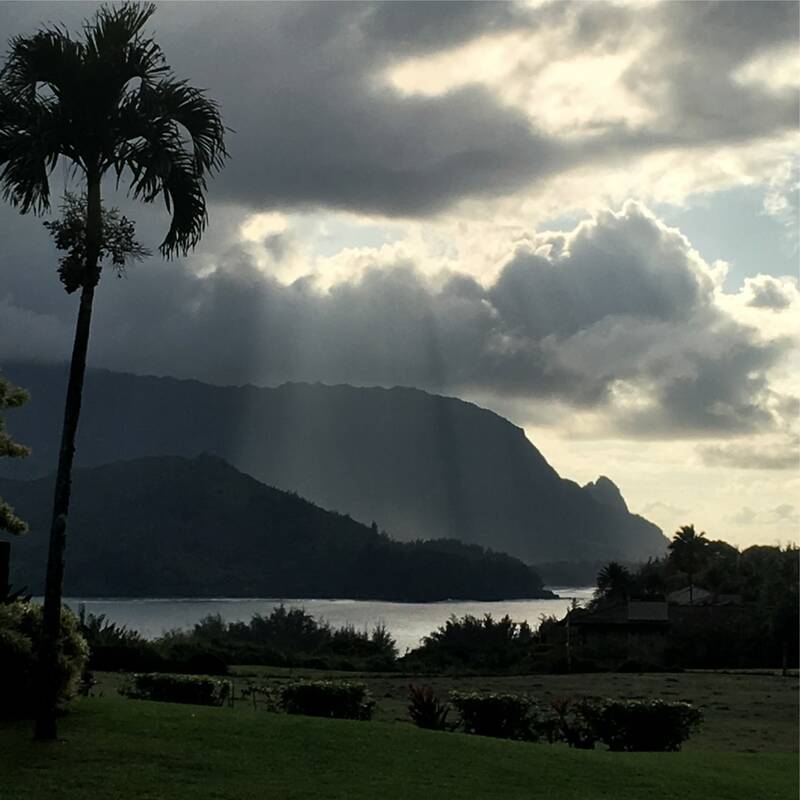 We come here with a variety of perspectives, but we all agree that Kauai's North Shore is No ka 'oi and that Surf Song is heaven on earth! We look forward to sharing it all with you, our valued guests.